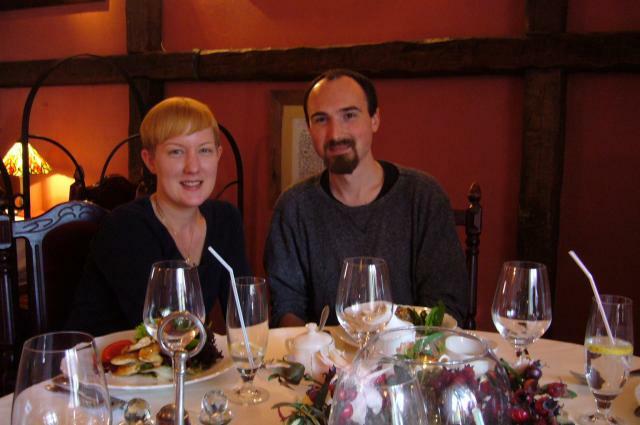 My wife and I at a restaurant in Warsaw. In the USA, the waiter can come to your table ten or more times. Sometimes just to ask if everything is OK! In Poland, everything is assumed to be OK until you say that it isn't. If you want anything else, wave to the waiter and ask for it. You can sit and enjoy your food and the company of the people you came with, without being interrupted by the waiter. 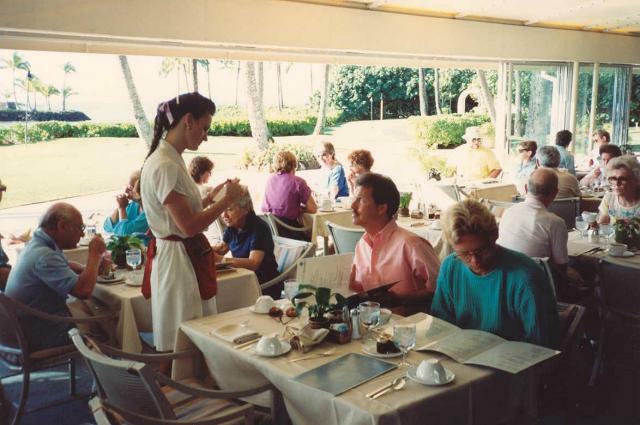 Believe it or not, most Americans prefer to be bothered constantly by the waiter. It is considered good customer service. It's a interesting article :).I haven't a clue that it is different culture between two nations. If a waitress were asking me if I'm OK every 5 minutes I would ask her: "Yes, I'm alright. Do I look like I'm about to die?" Ciekawe spostrzeżenie. Rzeczywiście w większości przypadków jest tak jak mówisz, jedynym chyba wyjątkiem jest Pizza Hut, gdzie ostatnio zmienili politykę wobec klientów i jest dokładnie tak jak mówisz o Ameryce. Więc jeśli chcesz polecić Amerykaninowi jakąś knajpę gdzie możesz się czuć jak w domu to własnie Pizza Hut(notabene mają tam chyba najlepszą pizzę). Hehe, dzięki za informację o Pizza Hut. To będę pamiętał! I get a lot of e-mail at that address, but your subscription thingy did not arrive. I'm going to Italy soon, so I am concentrating on Italian right now. But my wife and sister-in-law are Polish (genetically) so it is on my list. I just checked and I see that you started a subscription but didn't click the link in the confirmation e-mail. I've confirmed it manually for you! 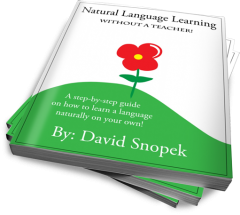 I hope it's helpful in your language learning journey! I have been to Poland on 5 separate extended vacations, and I respectfully disagree. Of course, I have become used to this cultural difference, though I still find it to be rather inconvenient. The problem that I frequently encounter is that its rarely possible to wave your server to your table. Instead you must get up from your seat in order to go and locate this person. This tends to be a much larger interruption than having your server occasionally stop by your table to see if you are in need of anything. Restaurants and servers that cater to foreign customers do not seem to understand that this lack of attention actually costs them money. It costs the restaurant because I will naturally spend less money in their establishment, due to simple fact that there is less opportunity to do so. Even moreso, it costs the server, as they are likely to receive a lower tip from me because a) a lower final bill total negatively impacts the normally percentage-based tip I will pay, and b) having to chase after the server tends to lower the percentage that I would normally tip, even when the food is very good. At the end of the day, a good server should be able to guage the disposition of his/her patrons, and adjust their level of service accordingly. Heh, I guess it's a matter of personal preference! :-) I prefer to really dig in at the restaurant and hang out for a very long time, talking and relaxing. The constant interruptions by waiters in the USA really bother me. Although we don't go out to eat very often. In any case, thanks for sharing your perspective! For me the most beautiful is Warsaw with history and nice places to see, nice pubs and special climate. The most easily recognized piece of Warsaw architecture is The Palace of Culture. It’s been my dream to visit a good place with http://warsaw-guide.com/. I heard there are so many great places and monuments to see for example the rainbow, the palm tree at Rondo Charles’a de Gaulle’a, the Ulica Francuska in Praga and the palace of culture and scienec at night.